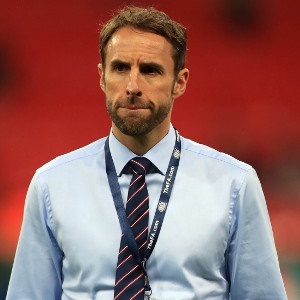 Moscow - England manager Gareth Southgate refused to get carried away with what appeared to be a hugely favourable draw on Friday for his team at the 2018 World Cup in Russia. They will then travel to Nizhni Novgorod on June 24 to take on Panama, making their first appearance in a World Cup finals, with their concluding group fixture against well-regarded Belgium in Kaliningrad on June 28. With the top two teams in each pool going through to the second round, Belgium and England will be huge favourites to make it out of Group G.
But Southgate, recalling England's decades of disappointment on the international stage, was wary of Panama, telling the BBC: "We've been good at writing teams off and then getting beat. We've got to be prepared for every game." Former England international Southgate played against Tunisia at France 98. "Remembering the Tunisia game in 1998, it was the first thing that went through my mind," he said. "It was a fantastic day and it's nice to be able to relive that. England beat Belgium, several of whose players are now established Premier League performers, at the 1990 World Cup in Italy and have never lost to them at a major tournament, suffering only one defeat in 21 matches with their European rivals. Former England winger Chris Waddle, who missed a penalty in a 1990 World Cup semi-final shoot-out defeat by Germany, said Southgate's men had been given a "fantastic" draw. "You can't ask for a better draw," Waddle told the BBC. "Every team is dangerous. Belgium are class on their day but the rest are very beatable."